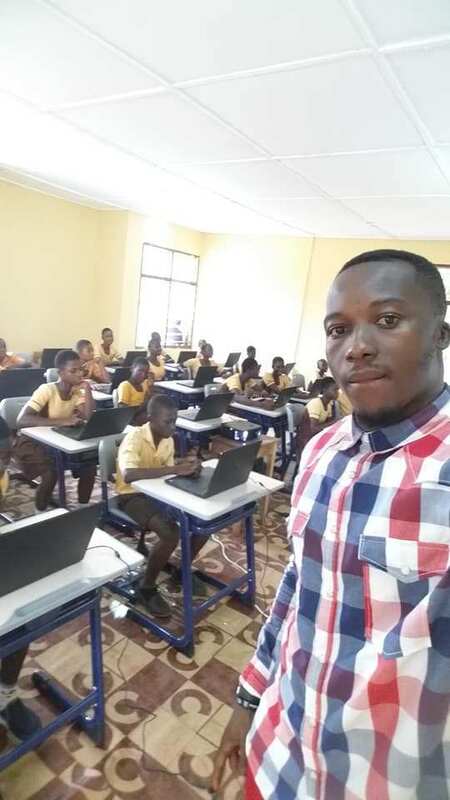 Ghanaian teacher, Owura Akoto Kwadwo became an internet sensation some weeks back after a photo of him teaching his students about Microsoft word by drawing the software on the board due to lack of funds, emerged online. 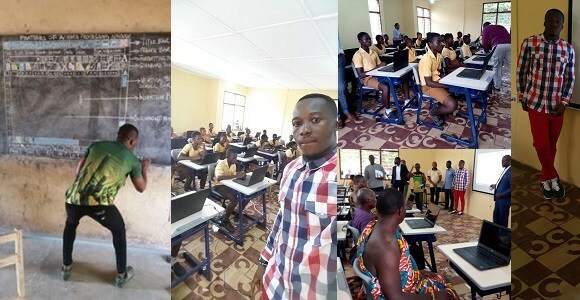 The teacher caught the attention of tech giant, Microsoft who promised to equip him with resources – Kwadwo shared photos of himself on his Facebook page weeks ago teaching students how to identify basic elements on a computer monitor without actual resources and his action has received the attention of tech giant, “Microsoft”. 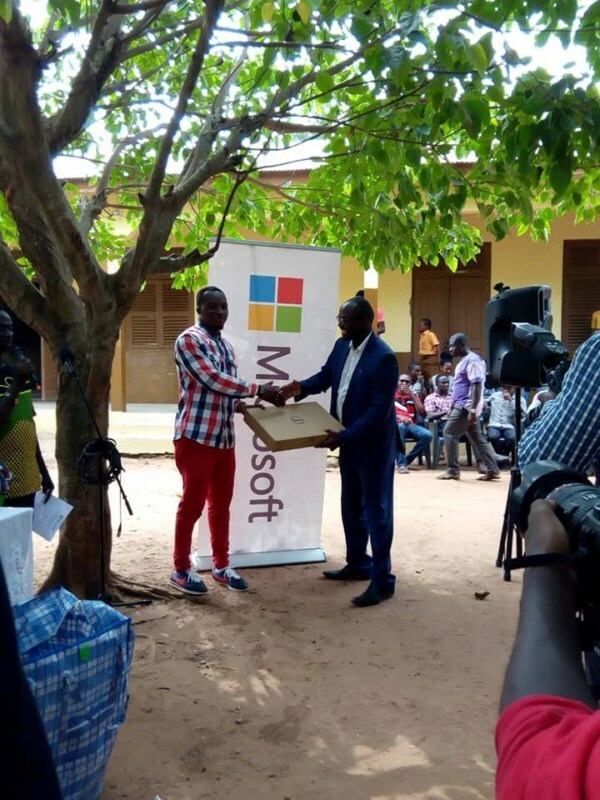 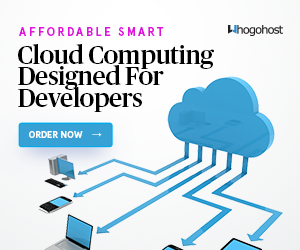 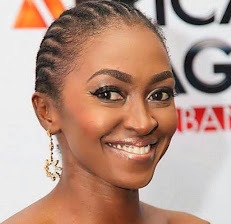 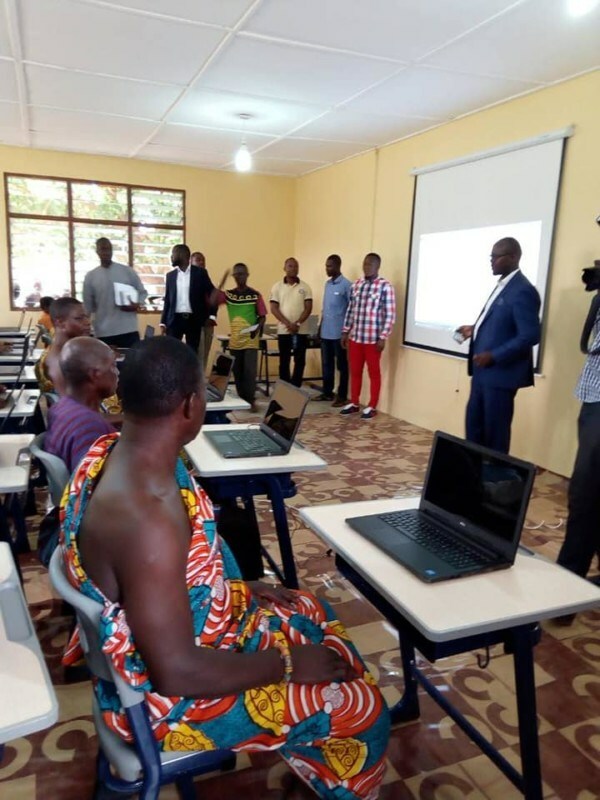 Microsoft has now donated 27 laptops, 130 mathematical sets, one projector, 130 school uniforms and one printer to the Ghanaian school where the ICT teacher is.